May has been an interesting month for my portfolio. Obviously, being chiefly UK-focused my portfolio has been buffeted due to the preparations for and fall-out from the General Election on 7 May. May has also already seen the addition of new buys in the form of AstraZeneca and Legal & General. In addition, my portfolio has seen corporate actions abound which has created two (very) small holdings to emerge in my portfolio. Earlier this month I wrote how Catlin Group's final purchase by XL Group was completed with its concomitant addition of a handful of XL Group shares. Now, with BHP Billiton's demerger, I have some shiny new South32 shares hit my portfolio. As this is a new addition I think it is appropriate to give it a little write-up welcome (with appropriate fresh, clean overalls mining man to accompany it). I am sure there are many, many more readers out there who are personally familiar with this particular corporate action than that of Catlin. Earlier this month the FTSE 100 mining giant, BHP Billiton, finalised its demerger of some of its non-core assets in a new company: South32. The demerger left all BHP Billiton investors with 1 new share in South32 for every 1 share held in the mother company. As a result of my 58 share holding in BHP I am left--I won't wait for you to do the complicated maths here--with a 58 share holding in South32. Now, unlike XL Group, obviously there is little way to assess the quality of South32 as yet being a new creation. However, some analysts have started to put together some predictions for earnings per share (EPS) figures which give us something to ponder on. There is not a lot to go on at the moment. But I will take you on a short journey around the limited stuff we do know so far. Compared to other companies within the sector this looks pretty good value. Even assuming the lowest predictions the company does not look overly valued even in this low point in the commodity cycle. Again, the same applies. Not bad value, it would seem. Certainly good enough to warrant a hold. 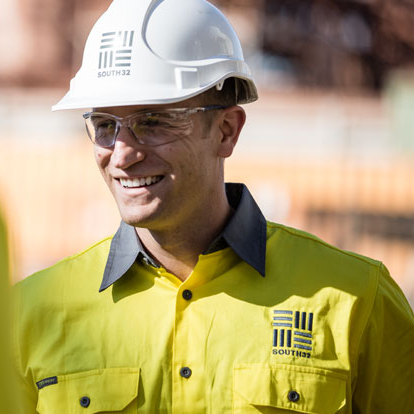 South32 has indicated an intention to provide a dividend representing 40% of underlying earnings in the future. So far I have not seen any dividend predictions. However, if we tinker with the above predictions a little bit it may give us a guide. First, let's take the lowest consensus prediction for the next two years: 18.88 cents per share. If we take 40% of this we would have a dividend of 7.5 cents per share. What would this yield on a share at 118p each? About 4.09%. Not bad at all. Now, let's take the most pessimistic current earnings predictions: 12.9 cents per share. If we take 40% of this we would have 5.16 cents per share. This would throw out a yield on a 118p share of about 2.8%. Again, not too bad considering it would be well covered (2.5 times in fact) by earnings. Of course, all of this is pie in the sky guesstimation. We will have to wait and see what South32 declare when it is time! All in all, South32 looks an attractive company with very high-quality assets. Also, improved efficiency in utilising those assets could see it produce solid earnings growth in the near future. It also has a low debt level of $634 million which should ease its birth into the world. Its future is an interesting one. It may be an acquisition target or may prove to be an able standalone proposition. Whatever, it may become I am happy to sail along with it for now to see where the journey takes us. As such, I plan--for now--to happily hold this new addition to see what happens. Also, rather like with my XL holding, it is not really big enough for me to bother selling at the moment. As such, sitting with this potentially lucrative little holding (it is about 0.27% of my portfolio...smaller even than my XL holding) is probably the best option. What are you doing with your new South32 shares? Selling them or keeping them? Or indeed, are you thinking of buying into South32 or topping up the holding? I would be fascinated to hear what you plan to do. Just comment below. I have a Motif account and own shares of bhp but I haven't seen any new South32 shares. Maybe I'll check back tomorrow. I suspect some brokers take longer than others in distributing the shares. Also, if you hold ADR shares this may delay it as well. Definitely keep your eyes peeled for their arrival! I just bumped into them as I went into my brokerage account to check something else! Do you think you will keep them once they arrive? Thanks for the write up DD - I can see some 'interim' activity on my account relating to my BLT shares - great stuff - extra shares! Yes, it was a nice little treat to bump into whilst flicking around my brokerage account. It will be interesting to see what they decide to do dividend wise. Even without a dividend I will likely continue to hold for now. What are you thinking you are likely to do with your holding? Anything? I'll just hang onto them as my strategy with shares is buy and hold (for as long as possible!) It's only a small holding anyway, 24 shares! I know what you mean. Obviously mine is a little larger but it still only amounts to a holding under £70 in value. It will be nice to see what they throw off as a dividend. It may only contribute a few pennies or pounds here or there, but--as Tesco always reminds us--every little helps (ironically, South32 will probably yield more than Tesco this year)! I am not too surprised you have not heard of it. The company was only demerged from BHP earlier this month. If you did not own BHP you probably would not have followed its progress up to this point! Personally I would probably not invest in South32 with fresh capital. However, I am happy to hold my handful of shares for now to see what its future holds! It's pretty sweet to get "free" shares to be honest, but I'll just wait to see what happens rather than sell. Like you said, their value is so small in comparison that I see no point in doing anything right now. I know what you mean, DL. I was surprised to see that BHP's share price actually held up quite well on the day of South32's share release. It did not drop quite as much as the value of the South32 shares. It will be interesting to see where both companies share prices settle eventually (not that mining companies really "settle"!). If they start to pay a dividend--which they seem highly likely to do--I will be happy to hold for the long term. It may be that I eventually top on on them. Though that is far from known! Thanks for that! I am trying to catch up with my blog reading which I have fell behind on about a week ago. I missed your post for some reason. I had better get thinking about my responses! Always nice getting new shares in a company and especially one that pays a dividend. I got shares in HYH from KMB but they do not pay a dividend. Still, others have like ALLE from IR, ABBV from ABT and MDLZ from KRFT. Thanks for sharing. Will be interesting to see how South32 will perform over time. Well, let's hope South32 pays a dividend. They have not declared anything since the 40% announcement some months ago. I don't see that they are likely to renege on that though. The benefit of being created at a low point in the commodity cycle means that a 40% payout dividend should be very strong going forward and give plenty of scope to head northwards when/if conditions improve. This, of course, if the opposite position to its parent company--BHP Billiton--whose dividend is still set to a high commodity cycle point and thus is barely covered. You have picked up quite a portfolio of demerged assets! Did you keep both Kraft and Mondelez after the demerger? If so, you must be sitting pretty at present! "What are you doing with your new South32 shares? Selling them or keeping them?" I ended up with 251 S32 shares or about £292 at current valuation. Compared to my total portfolio value it's an insignificant amount. On top of that selling them will cost me £11.95 or 4% of value. I'm essentially a buy and hold investor as I like to minimise expenses. Thus far my rebalancing over my total FIRE journey has nearly always been able to be achieved via new money additions rather than selling anything. It therefore takes a lot to get me to sell anything and given the above I'll just hang on to them as a minor insignificant holding for now. Thanks for dropping by, RIT. Your holding is much larger than mine then! I'd count a c.£300 as a pretty healthy--if on the small side--holding! It would amount to about 1.2% of my entire portfolio at present! If I was to sell my little holding the fees would amount to about 7% of the value (assuming S32 is Stamp Duty exempt which I presume it is)! Not exactly an efficient way of handling the transaction. I just this second, in fact, finished a post I will publish next week (or at least soon) on a possible alternative to selling mini holdings like this if you no longer want them. More anon! It is a more efficient and charitable way of handling such holdings. I agree, rebalancing through fresh capital is, I think, the best way. Especially as a small addition like this (which in essence is not even a new addition but a share division) hardly unbalances your portfolio unless it is very, very small! It will be interesting to see what happens once the company has bedded in a bit, provided an inaugural report and--indeed--declared any dividend. We may see a nice capital increase then as well as a small but welcomed dividend income addition. We will see! I just posted my article about ShareGift as a way of donating tiny shareholdings I mentioned above. May be of interest! I thought the whole point of being a big miner was that you had diverse interests, so I cannot see BLT's logic in divesting. However, I am quite happy to own S32 for the sake of diversity and will probably buy more shortly. I sort of agree with you. Certainly, the main reason I was invested in BHP was because of its diversity. Its logic was that by divesting of non-core assets it (i.e. BHP itself) could focus more on cost-cutting in its core areas and thus improve margins. Similarly, for South32 they could focus on currently underperforming assets and themselves engage in cost-cutting and margin improvements. It has the potential to work out that way. But, of course, the proof of the pudding is in the eating so we will have to wait and see. Same here. Happy yo hold and maybe consider a top up at some point. But we will see!